← Anyone for a G&T? 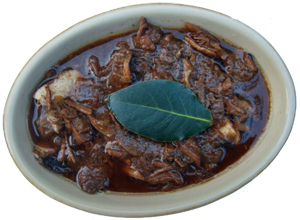 This entry was posted in Recipe and tagged bay, beef, casserole, mushroom, Old Peculier, Old Peculier Casserole, onion, recipe, stock, Theakston's, Theakston's Old Peculier. Bookmark the permalink. Poetry. Fine art. Unadulterated joy. What more can one say ? This is to recipes what Mozart is to music. Did we use celery? Anyway it’s taken you nigh on 3 years to notice!